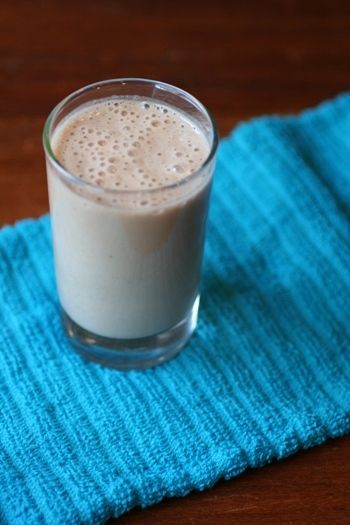 This Chocolate Peanut Butter Banana Smoothie, like any smoothie, is a very flexible recipe that can adapt to whatever you have on hand. There are several ways you can modify it. My kids love smoothies for breakfast and so do I. Listed below are some substitutions you can make if you don’t think you have everything on hand. Put ingredients in blender or Magic Bullet . TIP: If it is too thick, I just keep adding milk until it's where I want it. Find more Recipes for Beverages in the Faithful Provisions Recipe Box.